Figure 2.9 Loading can be accomplished, as shown, on minor inclines or declines. Figure 2.12 Discharge by traveling tripper or through the tripper to the storage pile. Figure 6.2 Effect of belt tension on resistance of material to flexure over idler rolls. Figure 6.6E Single-pulley drive at tail end of conveyor with snub pulley; regenerative. Figure 6.7D Dual-pulley drive on return run. Drive pulleys engage clean side of belt. 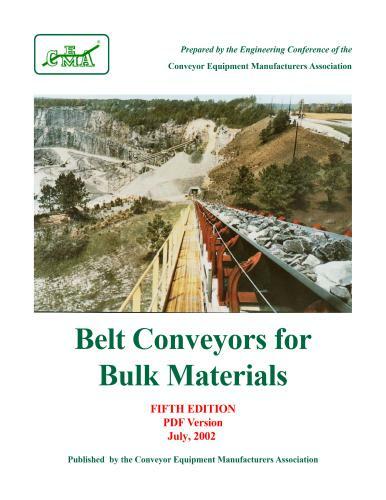 Figure 6.11C Horizontal belt conveyor with convex vertical curve and tail pulley drive. worm-gear speed reducer, directly coupled to motor and to drive shaft. Figure 9.3 Recommended minimum radii for concave vertical belt conveyor curves. material will leave the belt at the point of tangency of the belt and pulley. Table 7-5. Suggested minimum pulley cover thickness: RMA—Grade II belting. Table 7-14. Typical ratings for straight warp conveyor or elevator rubber belting.